Green tribology provides answers to friction and wear problems within an ecological and environmentally sound context. BU has been conducting research in this field since 1998. 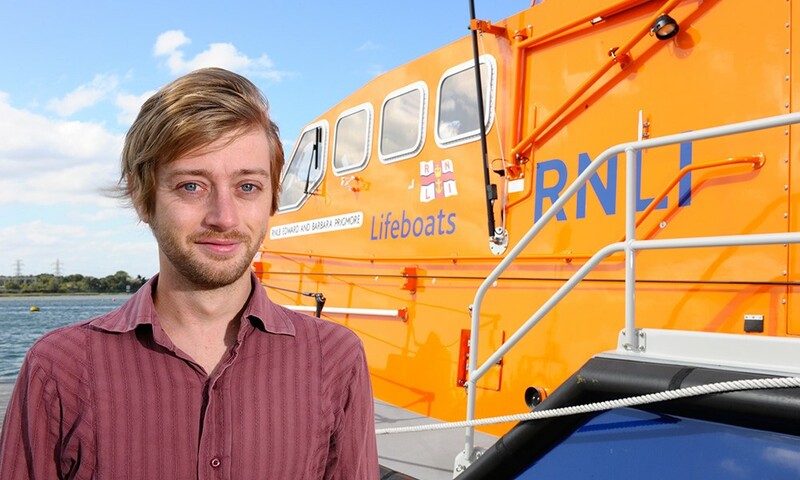 In recent years the research has been applied to a solution for friction wear on RNLI slipways. This was adversely impacting safe lifeboat launching and costing the RNLI up to £260,000 per year. Despite safety and environmental implications, lifeboat crewmen would address this issue by applying a layer of grease along the slipway. RNLI lifeboats attend over 15,000 incidents annually, with an average of 22 people rescued daily. As time is of the essence in life-threatening incidents in the sea, an immediate response with minimum reaction time is imperative. 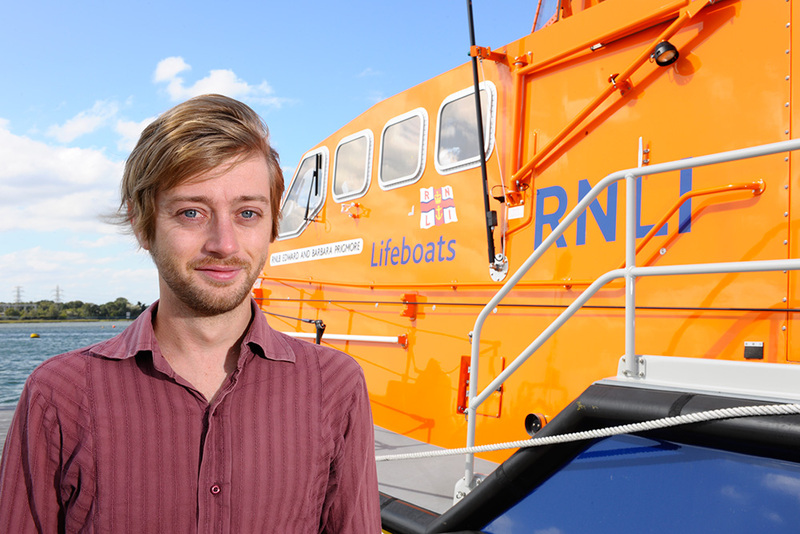 Dr Thomas analysed the contact conditions between the 15cm wide keel of a 35 tonne lifeboat during a 45kph launch. Data indicated slipway reliability could be greatly increased by ensuring the slipway panels were well aligned along the length of the slipway. It also showed a small change to the panel geometry to incorporate a chamfer, significantly reduced wear development and the adverse effects of panel misalignments on launch and recovery friction. The project showed that it was feasible to substitute the currently used marine grease lubrication with biodegradable grease, which would reduce the effects of grease bioaccumulation at the base of the slipway. The research also proposed the use of a novel water lubrication system instead of grease directly applied to the slipway, with the potential to greatly reduce both the operational costs and the environmental impact of slipway launches. In 2008 BU prepared a slipway Guidance Design Documentation for the RNLI. The document was a good practice design guide for implementation by RNLI technical staff. The new water-based slipway system has now been implemented across 38% of RNLI lifeboat stations since 2008. The research has led to improvements in crew safety and RNLI launch reliability, as well as reducing maintenance down-time and machine failure. An increased number of standby lifeboats are now ready to interfere/engage, with the ultimate goal of ending the preventable loss of life at sea. All this has been achieved alongside the considerable cost savings of £200k per year. Ciantar, C., Hadfield, M., Smith, A.M., Swallow, A., 1999. The influence of lubricant viscosity on the wear of hermetic compressor components in HFC-134a environments. Wear 236 (1-2), pp. 1-8. Howarth, G., Hadfield, M.A., 2006. Sustainable product design model, Materials and Design 27 (10), pp. 1128-1133. Tzanakis, I., Hadfield, M., Thomas, B., Noya, S.M., Henshaw, I., Austen, S., 2012. Future perspectives on sustainable tribology Renewable and Sustainable Energy Reviews 16 (6), pp. 4126-4140. Thomas, B., Hadfield, M. and Austen, S., 2010. Wear and Friction Modelling on Lifeboat Launch Systems. Tribology Transactions. 53 (4), pp. 584-599. Thomas, B., Hadfield, M. and Austen, S., 2009. Experimental Wear Modelling of Lifeboat Slipway Launches. Tribology International, 42 (11-12), pp. 1706-1714. Thomas, B., Hadfield, M. and Austen, S., 2009. Wear Observations applied to lifeboat slipway launches. Wear. 267(11), pp. 2062-2069.